Get your "turn-key" online store selling some of the most demanded products of our time; Domain Names, Web Hosting, Websites, Email and Marketing tools. Everything you need to start selling online today! Set up shop in minutes using our exclusive Design Wizard. Sell these Products and more under your own brand. Just customize the colors and add your logo. Shopping cart and payment processing built in and our award winning 24/7 support is white-label too! Sit back and let the commissions come in. Basic plans receive starter buy-rates, go Pro for best the buy-rates in the industry. Learn more. Don't think you could build a Web site? Think Again. Simply pick a professionally designed template, add your own photos or graphics and type your text. Anyone can build a website in minutes with our point and click interface. Included FREE with reseller plan. Web Hosting in the cloud. Be ready for business with 150 GB storage & unlimited bandwidth! You and your customers can relax knowing the servers are monitored 24 hours a day 7 days a week, with a 99.9% uptime guarantee. We give you a bundle of our best selling products as well as resources to help you become successful online! Included FREE with reseller plan! Fast, reliable, private, secure and spam-free! Works on Android, iPhone, and Windows phones! View your reports any time you like. Track your sales and earnings, domain names registrations, pending transfers and much more. Our handbook leads you every step of the way, including advice and instruction to make the most from your reseller storefront. We handle all the issues, big or small. We're here whenever you or your customers need us. We're so confident you'll enjoy the ease and flexibility of our reseller programs that we back them with our money-back guarantee. We give you the tools to grow your online business. Discount prices for you and anyone you select. White-label website with secure shopping cart. Credit Card processing, Automated Billing and Renewals. Support for you and your customers 24 hours a day, every day. (up to 50% off retail). Earn commission from Pay-Per-Click ads on parked domains. See that we are the best! Sell a long list of products and set your own prices! We handle billing and customer support - you just sit back and wait for your commission check! Offer hundreds of different domains including the classics like .com and .net as well as new exciting domains like .shop and many more! The perfect "next sale" to your domain customers. Whether your customers need a web host that is simple or "souped-up," they will come to you for the plan - and the price - that is just right. 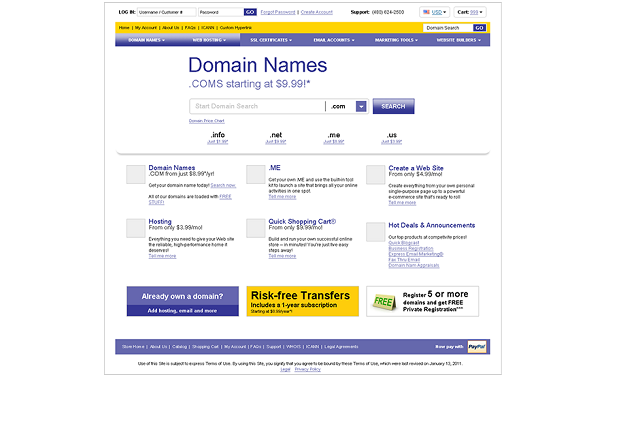 Many customers who buy a domain will want a Web site. When they select your online click 'n build program, their needs will be covered and your bottom line will soar with recurring monthly revenue. Offer your customers ecommerce essentials that will keep them in business... and keep you seeing a profit month after month. Just set up your Quick Shopping Cart®, and begin selling Merchant Accounts and earning a monthly commission on all credit card sales that your customers process. Harness the combined power of WordPress® and our Web Hosting and then start collecting commissions month after month. Servers designed & built for WordPress to give customers blazing fast speeds with hassle-free hosting. Have clients that need more power? Then a VPS or dedicated server plan may be right for them. Many options to choose from which feature lightning-fast processors and guaranteed RAM and storage. Your customers won't say no to our feature-packed Email Plans. Each plan is loaded with Online Storage, SMTP Relaying, Email Forwarding and much more! All these options mean loads of sales for you! 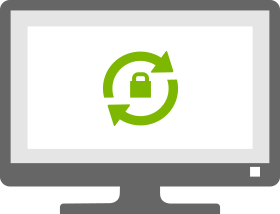 Sell the same level of security as your competitors for up to 90% less, keeping you and your customers safe from hackers and other online threats. And once your customers have a web site, they need to drive traffic to their site. Offer your customers valuable and proven site optimizers and traffic generators as well as the hottest website promotion tools around. You set the prices and the difference is your profit. Up to 25% off retail! Full featured shopping cart stocked with products, live from the moment you sign up. 24/7 Support for you & your customers! We offer a wide variety of payout options for your commissions (PayPal, EFT, Check, store credit). We usually pay the commission you earn during one month at the end of the following month. For example, if you earned commission on your reseller hosting sales during January, we'll pay you at the end of February. Value Membership is FREE and you can enjoy everyday low prices at WebsiteWholesales.com!